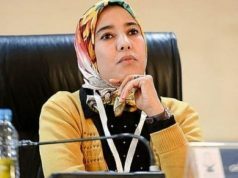 Rabat - Lamia Bazir from Morocco was among the honorees of the "Arab Youth Volunteering for a Better Future" project to receive the United Nations Volunteering Award. 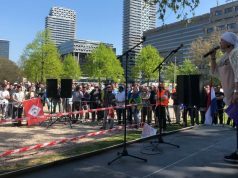 Rabat – Lamia Bazir from Morocco was among the honorees of the “Arab Youth Volunteering for a Better Future” project to receive the United Nations Volunteering Award. 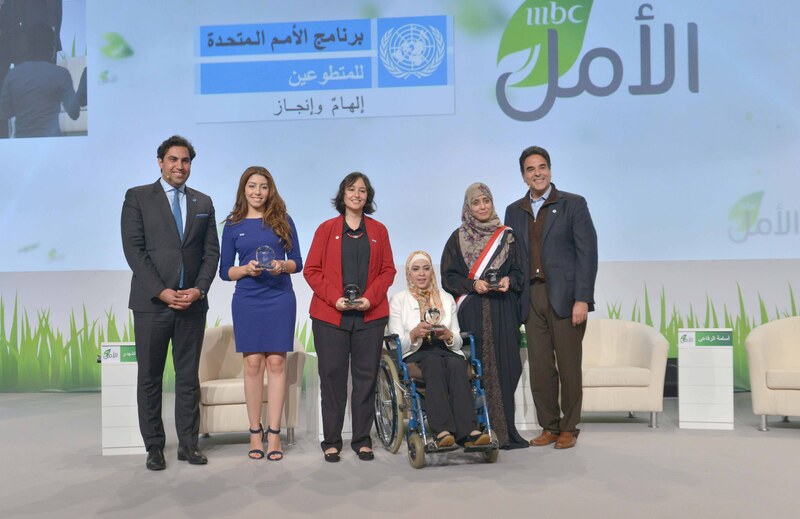 Lamia Bazir received her award from Mr. Ahmad Alhendawi, the United Nations Secretary- General’s Special Envoy on Youth, at the MBC Hope award ceremony hosted by United Nations Volunteer Program (UNV) and MBC Group in Dubai, UAE on 18 January 2015. The second annual MBC Hope Awards Ceremony honored the “Arab Youth Volunteering for a Better Future” project and MBC Hope’s “Doing Good” competition winners. 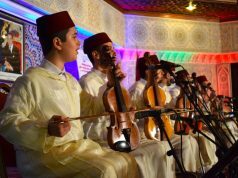 The event celebrated the positive energy, creativity and community spirit of young volunteers honored for acting as the catalysts in fostering “Hope” in the Middle East North Africa Region. The winners also included Zina El Nahel (Egypt), for her role in the activation of the education process by informal institutions and non-governmental organizations; Hadeel AbuSoufeh (Jordan), for her role in supporting social projects related to facilitate the lives of people with special needs. Amal Al Saqal (Yemen), for her role in stimulating the role of students in volunteer work renaissance and community building and Saifeddin Jlassi (Tunisia), for his role in the rehabilitation of young people in areas of arts and drama. 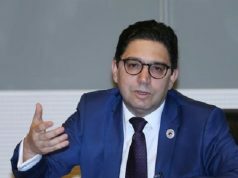 “Despite the progress in education, the question remains about the quality of education in the region, especially in the presence of a youthful community that is capable of being leaders and entrepreneurs,” said the UN Youth Envoy, Ahmad Alhendawi during his remarks. “All challenges are opportunities if they are treated as potential to create solutions; the real wealth lies in the existing knowledge of the youth, especially now that we are in dire need of talented youth in this day and age,” he added. Lamia holds two Masters Degrees from Columbia University and Sciences Po Paris, and was a student valedictorian at Al Akhwayn University in Ifrane, Morocco. 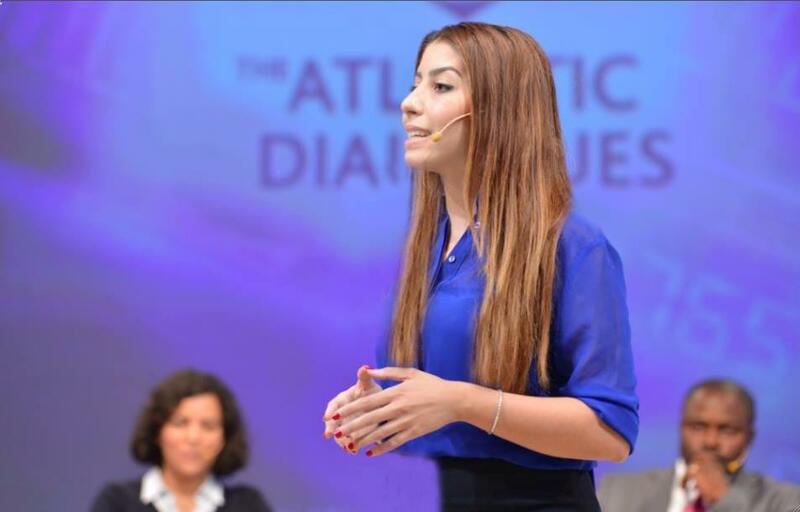 She was also a fellow of the American Association of University Women in Washington D.C.
On October 2014, Lamia was selected among the 50 emerging leaders of the Atlantic by the German Marshall Fund of the U.S. and the OCP Policy Center.